If there is one name you should know if you want to learn more about environmental toxicology, it is this — Rachel Carson. She is called the mother of the environmental movement and her work arguably led to the formation of the U.S. Environmental Protection Agency (USEPA) and the passage of many pesticide safety laws. To understand the importance of what she achieved, one needs to go back to the 1950s. The Allies had recently won World War II and DDT, an insecticide which was sprayed on soldiers to control typhus and malaria, had helped enormously. The use of DDT had also eliminated malaria in the U.S. in 1951 and had increased agricultural productivity. Chemicals were finally giving humans greater control over nature and hardly anyone was complaining. And so a host of other pesticides were developed and marketed to eliminate unwanted, bothersome species — without proper safety testing and without limitations on sale and use. Enter Rachel Carson. Rachel was a marine biologist with a master’s degree from John Hopkins. She had worked for the U.S. Fish and Wildlife Service (USFWS) agency for 17 years and was also a writer. She had published three bestseller books about the sea, apart from writing numerous articles for newspapers and magazines. Nature had always awed her and she was convinced that humans’ endeavors to control and destroy it would backfire. Her position in the USFWS had given her access to scientific articles and other documentations on the effects of chemical pesticides on wildlife. For example, she was well aware that DDT use was often followed by reports of dead birds and fishes. She knew the insecticide, along with some others, was persistent and could accumulate within organisms. And while scientists of her time were mainly concerned with acute toxicity (adverse effects caused in a very short period of time), she considered the long-term impacts (like cancer, reproductive effects) of pesticide exposure. 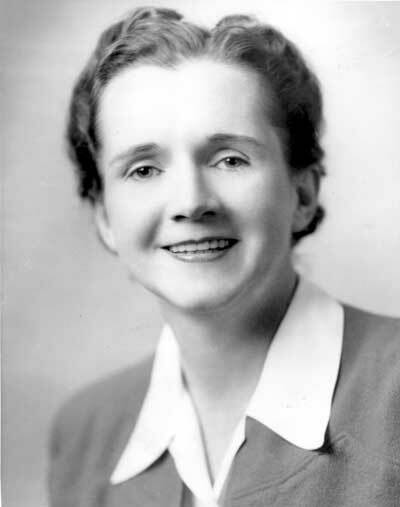 So armed with her then-privileged knowledge and conviction, Rachel Carson wrote Silent Spring. The book, published in 1962, was an instant success. This was the first time the public was properly made aware of the harmful side-effects of pesticides. Rachel had distilled the dense and dry science and made it lucid and evocative. Her powerful prose had provoked in people a moral, previously unconsidered question: is it okay to recklessly misuse chemicals and harm the environment for a few short-term gains? Perhaps unsurprisingly, the chemical companies of that time tried hard to discredit her. But it is important to remember this: Rachel Carson was never against the wise use of pesticides — she understood the need for it. She was against its indiscriminate use. She was against its use when its unintended effects were unknown. Despite the threats of nuclear war at that time, most people had been enamored by the burgeoning scientific and technological innovations that had helped many overcome poverty and distress. Silent Spring showed them that science isn’t infallible, that there are benefits and costs to technology and that humans and nature are intrinsically linked. Rachel Carson died soon thereafter, following years of struggle with cancer. But 54 years on, her enormous legacy continues to inspire the world. Next Environmental toxicology laws in the U.S.